Matt Berninger and Brent Knopf don’t care if you like them or not. 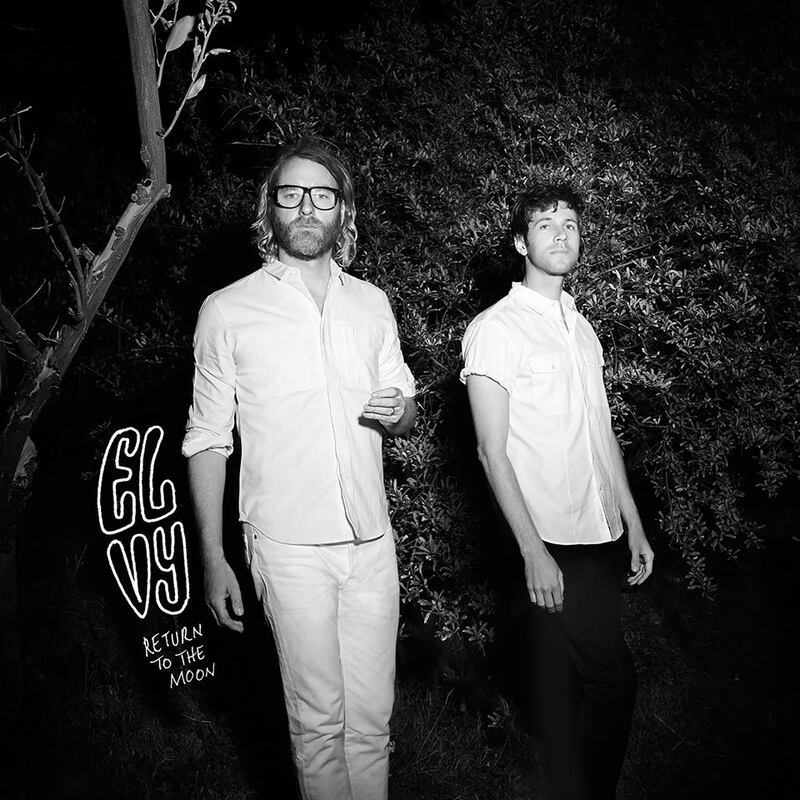 El Vy (pronounced as the plural of Elvis, or “hell pie”) is the pet project of the year, and is a true example of what can happen when musicians create an album for the love of the craft. A long-standing collaboration between the lead singer of The National and the man behind Ramona Falls, the album is a funky Frankenstein of musical talent and themes, straying from Berninger’s familiar territory of moody alt rock with the incorporation of Knopf’s poppy synth and addition of different musical styles. With a low-key, low-pressure side project such as this, Berninger and Knopf are free to experiment with the weirder, heavier, and even raunchier side of alt-rock. The tracks ricochet between a fictionalized love story and a partially autobiographical reminiscing of Berninger’s childhood in Cincinnati, Ohio. Although Berninger and Knopf create a moving thematic target, they manage to hit it in every track, creating an album that is as valuable in individual tracks as it is as a whole opus. Return to the Moon opens with the title track, an upbeat and poppy piece signaling a definitive departure from the men’s “day job” bands. The next track, “I’m the Man to Be,” is overtly raunchy, so much so that it becomes a joke: a stereotypical horny rock star in a cheap motel room. Berninger’s halting conversation with a woman somewhere “off-screen” only reinforces the awkward atmosphere of the song, of which the listener is all too aware. El Vy really establish themselves as a brilliant musical force in the second half of the album, starting with “No Time to Crank the Sun.” This slow ballad is where the album begins to mature, becoming more complex musically and thematically. The power of this track is in the layered vocals, with a male choir supporting and enhancing the power of Berninger’s baritone. “It’s A Game” is one of the more intimate depictions of the romance between Didi Bloome and Michael, named after Minutemen bandmates D. Boon and Mike Watt. According to Berninger, the band was a big influence in the making of this album, and he takes the opportunity in this song to cleverly pay an homage to them: “I’d never been so alone/Til I read that the Minutemen were dead.” El Vy further incorporates layered vocals with the addition of Ural Thomas in “Sleeping Light,” and his addition is a lovely and soulful contrast to Berninger’s deep monotone. “Sad Case” and “Happiness, Missouri” are two explosive tracks that come as a pair; the incorporation of heavy, growling electric guitar and choruses that rip out of nowhere, exploding onto the scene in a forceful whirlwind of raw emotion. The album ends with “Careless,” a break from the growing heaviness in the second half of the album. It has a sound most similar to The National, but at this point, the comparison is moot. Berninger and Knopf have created something entirely unique, an intricate combination of musical talent and styles that is the brainchild of its creators, but by no means a clone. Mercurial, diverse, and complex, Return to the Moon is a pleasant and refreshing surprise that reignites the concept of creative collaboration. This entry was posted in Reviews and tagged album review, Brent Knopf, El Vy, Matt Berninger, Return to the Moon on November 2, 2015 by Juliana Van Amsterdam.